Samsung has outdone themselves this time in this Samsung Galaxy Note 5 and Galaxy S6 edge+ launch campaign. First, they arranged an Unpacked live screening session with us media at a private location. Then, they passed around the actual launch units for an immediate hands-on, accorded us with the same privileges as the attendees at New York. Finally, they boldly announced that the Samsung Galaxy Note 5 will be available in Singapore from this Saturday 15 Aug for purchase. And the Galaxy S6 edge+ will commence selling on 22 Aug. No preorder required. It was a feat that was unheard of in recent years, more impressive when it comes from the leading Android manufacturer. OK, let’s go into the hands-on impressions at this instant. It is essentially the Galaxy S6 – same Exynos 7420 64-bit 8-core processor in increased 4GB RAM – with a new S Pen which comes with a clicking mechanism to eject the pen easily. 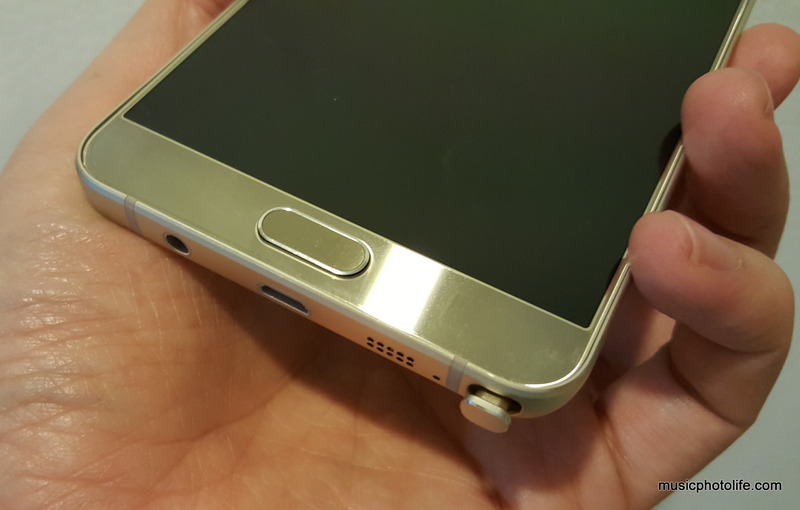 Like the S6, it has non-removable battery but at larger 3000mAh, and no microSD card slot. In addition, the infrared port has also been removed, which is somewhat puzzling. It comes with 5.7-inch Super AMOLED 2560×1440 screen, 16MP f/1.9 rear camera, 5MP f/1.9 front camera, and supports the now-popular 4K video recording. The S Pen is enhanced with improved Air Command, Screen Write, Smart Select, and allows user to add 3 favourite app shortcuts. The new Screen Off Memo lets user jot down quick memos even when the screen is off. 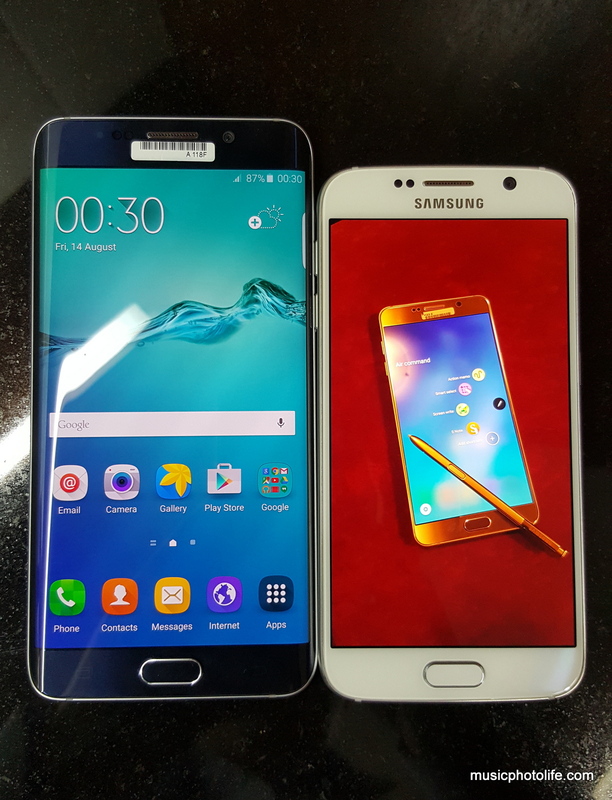 The Note 5 feels so much more solid compared to the Note 4. The curved rear fits better on hand. It weighs 171g and is 7.6mm thin. The 32GB retails at S$1088 while the 64GB goes for S$1188. At launch, only Black Sapphire and Gold Platinum will be available. 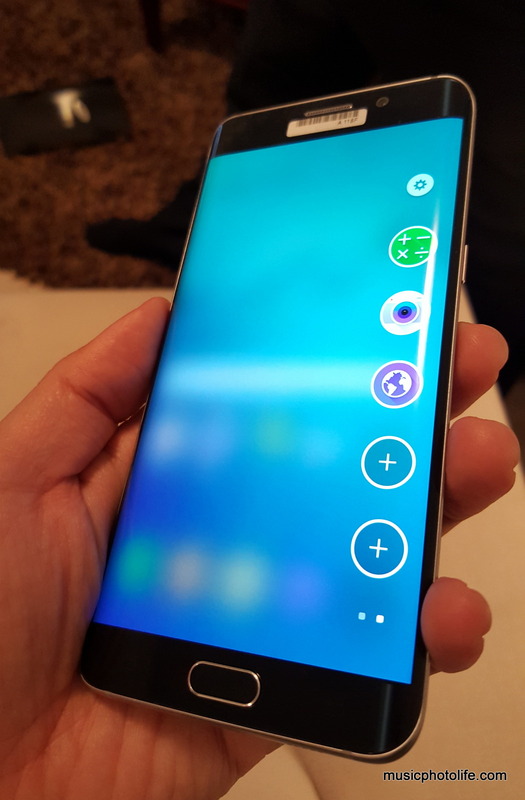 It is a larger S6 Edge with the same dual curve screen design and flat rear. 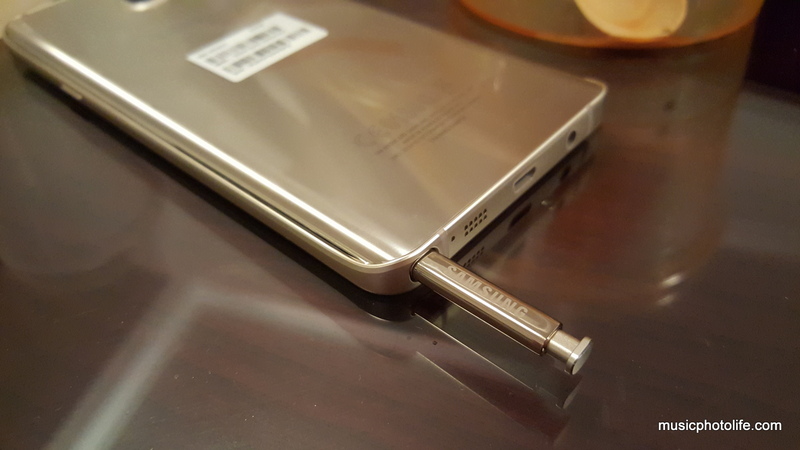 Hardware is identical to the Note 5 except there is no S Pen and the screen is curved. It comes with a new App Edge app to provide shortcuts to your favourite apps. 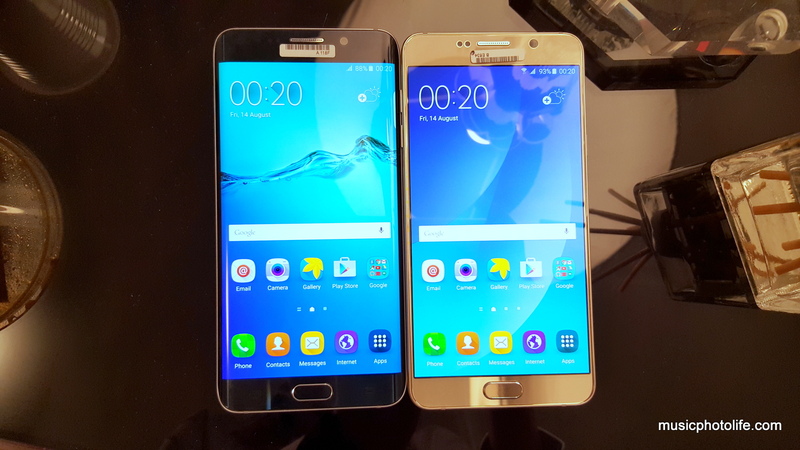 Despite its generous screen size, the S6 Edge+ weighs only 153g and 6.9mm thin. The 32GB retails at S$1188 while the 64GB goes for S$1288. At launch, only Black Sapphire and Gold Platinum will be available. People who felt wireless charging is slow will be glad that both devices can charge wirelessly at a speed that is no different from normal adapter using cable. Samsung claims it can charge the phone from zero to full in just 120 minutes. A separate purchase of the new Fast Wireless Charging Pad that costs S$98 is needed to enjoy this feature. Both devices will support Live Broadcast, which streams live videos in Full HD straight from the cameras, to YouTube. They also have Video Collage, allowing users to capture multiple videos,c reate slow motion videos into one simple collage. This is possibly the star accessory of the evening. 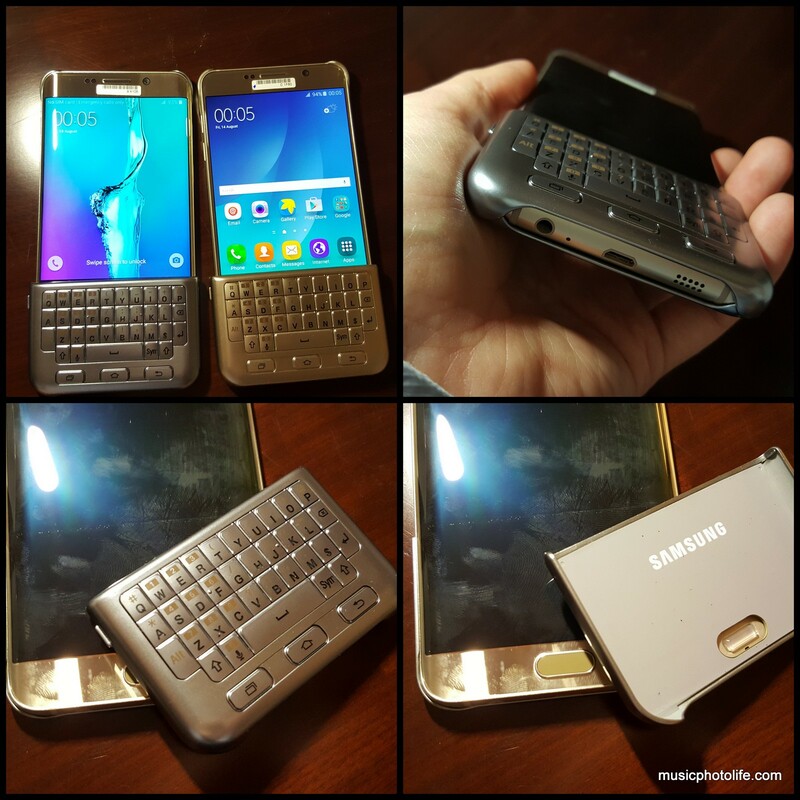 Samsung brings back the physical keyboard with this snap-on cover. The whole set-up reminds me of the Sony Ericsson P-series (P800, P900, etc.) touch-screen smartphones. Available for both devices. Typing on it takes a little getting used to as the keys are flushed. Looking forward to third-party keyboards with improved ergonomics. It comes with the usual rear cover is priced above S$100. 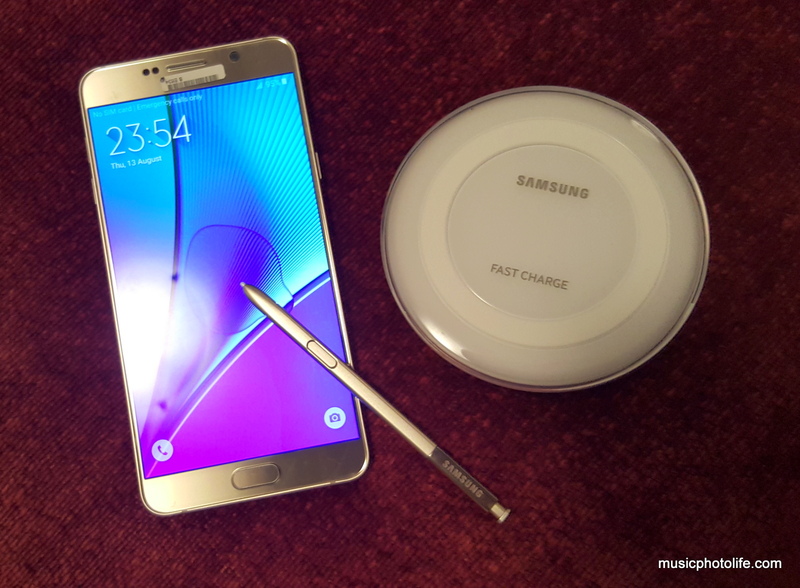 15 Aug: Samsung Galaxy Note 5 launches with all telcos including StarHub – no preorder required. Consumers who purchase on launch date will receive fast wireless charging pad (white) worth S$98 and clear cover (silver) worth S$48, while stocks last. 27, 28 Aug, 3 Sep: Samsung will run a roadshow called “Student Delights“, to engage tertiary students from NUS (27 Aug), NTU (28 Aug) and SMU (3 Sep). Purchase a Galaxy Note 5 and get the 2nd Note 5 at 40% off! Terms and conditions apply. 29-30 Aug: Key roadshow happening at Ngee Ann City Civic Plaza, where consumers can experience Galaxy S6 edge, edge+, Note 5 and Tab S2. There will be hourly giveaways and live performances. Samsung Service Clinic: happening at the above roadshows, existing Samsung customers with Galaxy S6, Note PRO, Tab S, Tab A will receive free screen protector. Customers with Galaxy S4, S5, Note 3, and Note 4 can receive free screen protetor, battery replacement and back cover. This article first published on Music.Photo.Life. 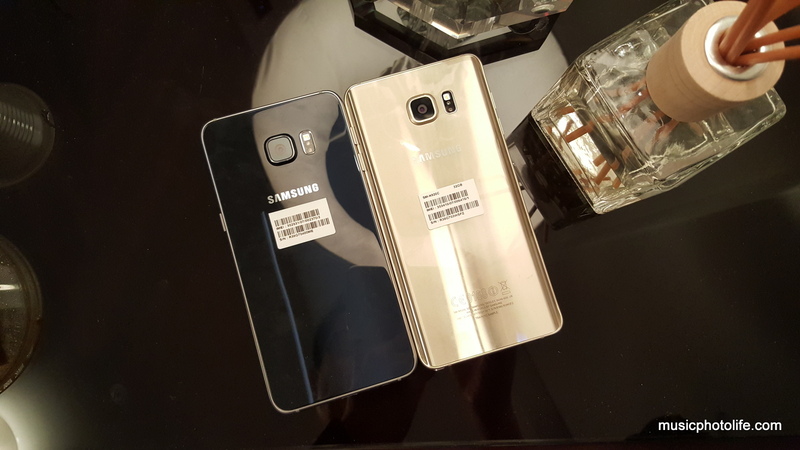 Are you guys bringing in silver titanium colour for both note 5 & s6 edge plus? I dont see on starhub online website.